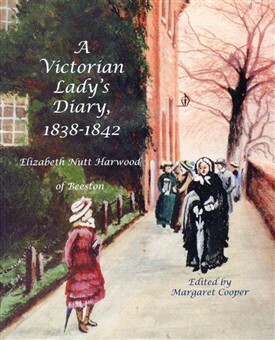 Elizabeth Nutt Harwood’s diary covers a short but highly significant period of five years at the beginning of Queen Victoria ’s reign - a major period of economic and social development both nationally and in the Beeston area. Elizabeth had a keen eye for detail. Beginning at the very start of Queen Victoria ’s reign, she recorded everything from skating on the Beeston Canal and attending lectures at the National School to the arrival of the first steam train at Beeston station. Her diary is an invaluable historical document, casting a unique eye on both local issues and events of national importance. This page was added by Joe Public on 21/05/2011.